We all know to recycle our office paper when we're done with it, but turning that used paper into new sheets is actually quite a long and laborious process. Which makes Epson's claim to have it all take place in a single, car-sized machine all the more impressive. 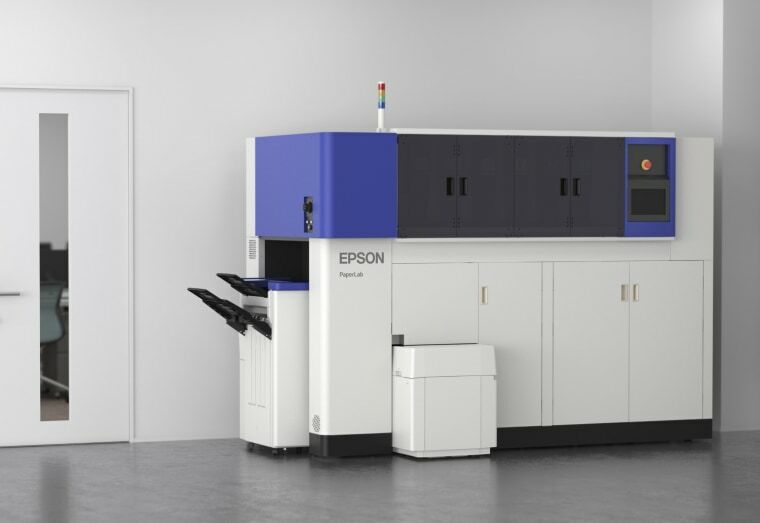 The PaperLab is a new device that takes waste paper, shreds it, processes it, and outputs clean sheets of paper in a variety of formats — up to 14 a minute. You can make thick business card stock or thin printer paper — even scented stationery to send to that special someone. The technique doesn't even use any water, which is a big improvement over industrial processes that use lots to rinse and soften the pulp. It's also more secure than having your documents shredded and carted off by some other company. The paper is broken down to its constituent fibers and mixed with everything else, so combining the pieces to recover sensitive documents isn't a possibility. Though the machine is likely to cost a fortune, it's definitely more eco-friendly than other options for dealing with waste paper. PaperLab will be shown off next week at Eco-Products 2015, a trade show and exhibition in Japan. If all goes well Epson should be producing PaperLabs next year for sale first in Japan, then worldwide.